Leasing a vehicle has plenty of advantages, and when Chandler drivers are looking for a Land Rover, finding the best Land Rover lease deal is a smart move. Drive home to Tempe in a luxury SUV while sticking to your budget when you rely on Land Rover Chandler for Range Rover lease deals and Land Rond Rover specials. We have an extensive inventory of Land Rover models to choose from, so you’re sure to find the perfect model to upgrade your Phoenix drive! We change our Land Rover lease deals every now and then so there are plenty of chances to find the luxury SUV that works best for you. Check our incentives online before visiting us near Gilbert so you can find the Range Rover lease offer you want. Our lease specials can range from having zero to low down payments, zero to low-interest financing, to even receiving money back specials or low monthly payments. In addition, recent graduates, those in the military, or those involved in other local programs/affiliations may also qualify to receive additional perks on their lease offers. Whether you’re searching for a Range Rover Sport lease deal or a Discovery lease deal, there’s something in our dealership for you. 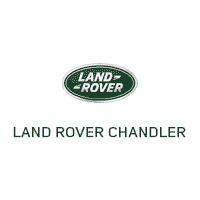 Why Lease a Land Rover from Land Rover Chandler? Leasing a vehicle from Land Rover Chandler is a smart financial decision. We price our Land Rover models to sell or lease, which means you can drive a luxury vehicle like the Range Rover or Land Rover Discovery Sport without compromising your savings. We’re also flexible with our leasing contracts, so you can end up trading your leased Land Rover in for the latest and greatest model in as little as two years—or feel free to buy it outright from us if you love your off-road-ready vehicle. Take advantage of our Land Rover offers and Range Rover specials today by visiting our team at Land Rover Chandler. Contact us for more information at your convenience! We’ll work with you to come up with the Land Rover finance plan that works best for your needs.